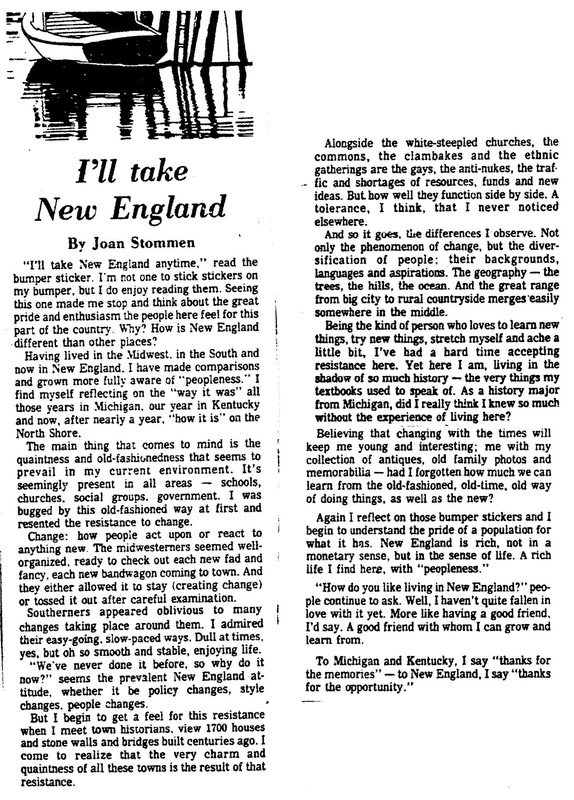 An old article from my days as a contributing writer for the Salem Evening News in MA.This was our home state for eight years in the 80's......and recent events in Boston bring back memories of exploring the streets and landmarks of this biggest of small towns! Great article. I have only been to the east coast once and I was just so amazed by all the history and all the old buildings. Growing up in Michigan there just isn't any of that! Having lived the rest of my life in California -- we do have the missions which are old and beautiful but that is it for the history lesson. 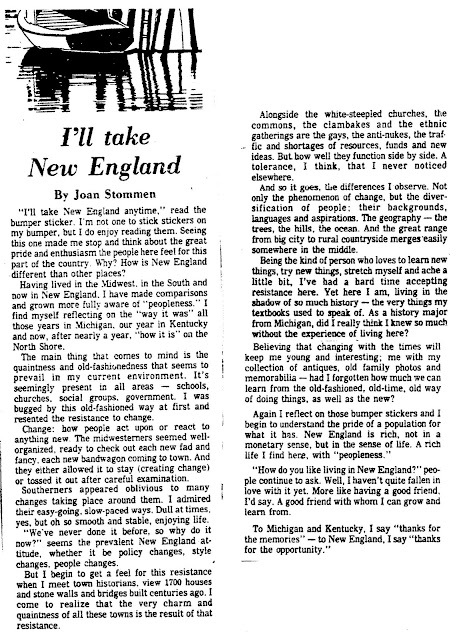 I do think I would have enjoyed history so much more had I been raised on the east coast. I really want to go back to DC again! You are so right! My kids grew up in MA....thrived on the history/historic everywhere! Right out of our old textbooks! What I love about CA's history are the mission bells along the old El Camino Real! Thanks for taking time to read and comment, dear friend!